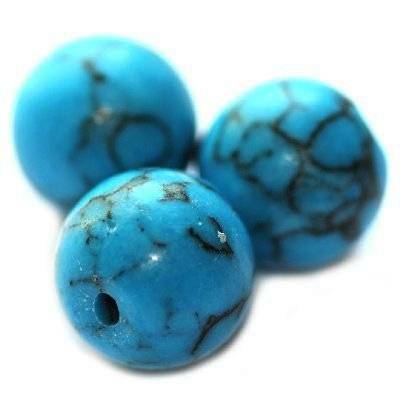 Turqouise - synthetic is semi-precious stone and synthetic stone. It is around 8 mm size and round shape. Each stone is unique and has various patterns and shades. Shape, size and colour may vary.